There are many forums on the Internet, dedicated to each of your favourite topics. The following tutorial will provide you with detailed instructions to create your own paid membership forum using WordPress, bbPress and WooCommerce. In the end, you can start your own online forum and even charge members for the subscription. Allow you to create a monthly membership product with automatic billing system. Require customers to pay for a monthly subscription to gain access to the forum pages. Provide the ability to limit content (forum pages) to subscribed members only. Allow members to manage(cancel) their membership subscription from inside their bbPress profile. Please Note: This tutorial follows a very accurate setup for your forum. So while this setup may suit your business needs, you may want to modify many other things as per your requirements. So we recommend that you start with a fresh install of WordPress and follow this tutorial to get up and running before customizing the components for your own business. It’s great that you have chosen our article, as a guide to help you. For some, these steps could be a lot of work. We also provide development services, to help ease your burden. Groups 404 Redirect (Version 1.1.3). To set up a fresh WordPress website from scratch, download the WordPress Installation package from the official download page. You may visit this for details of the setup. Name your new WordPress website whatever you’d like. For this article, we are creating a local site named MY SITE. Go to WordPress > Settings > Permalinks. Change the settings to Post Name and save. We’ve used the WP Knowledge Base in our tutorial. You will also need to download the bbpress-twenty-ten theme. 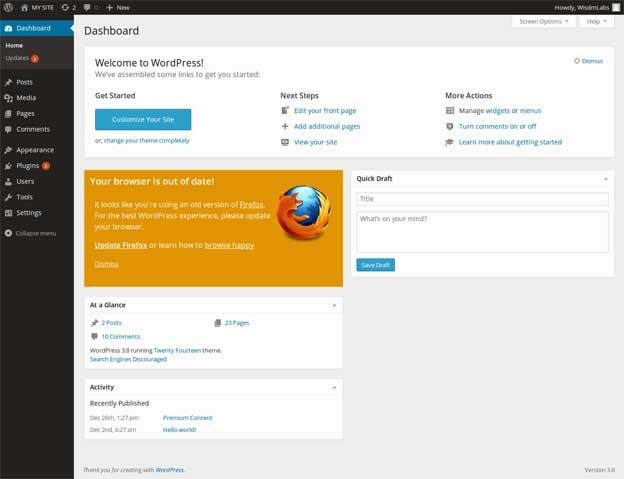 (or any other bbpress compatible theme) and place this theme in your WordPress themes directory. While you’re there, create another folder named “bbPress-child”, because we’ll require the child theme. To create a child theme, we will first have to create a folder in the wp-content/themes folder for the child theme. Then we create a style.css file in our child theme folder as shown below. After saving the style.css file, go to WordPress -> Appearance -> Themes. Activate The bbPress child theme. In this tutorial, we are creating Child theme of theme ‘Twenty Thirteen’. If you freshly installed WordPress and are following this tutorial, you should have a new page named “Homepage” in WordPress -> Pages -> All Pages. If not, you can create the page. Go to WordPress -> Settings -> Reading. Make sure that “A static page” is selected and “Front page” is set to Homepage. Basically, this is nothing but the replica of page.php of the Parent Twenty-Thirteen theme. In order to disable comments on the Pages we have removed comments section from this file. WordPress -> Settings -> Forums. bbPress creates three custom post types and adds them to the navigation menu: Forums, Topics, and Replies. Use these menu items to create and manage your forums. A sub-menu found at Settings -> Forum. Customize these settings for greater control over bbPress. If you are unable to see this widget, visit your WordPress Dashboard, click on the Screen Options tab at the top right of the Dashboard and make sure that “Right Now in Forums” is checked. 3. 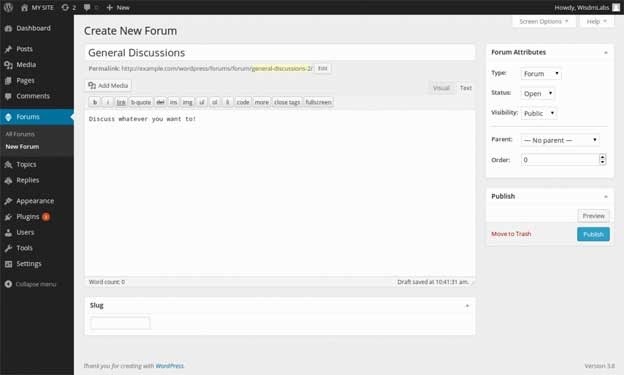 Add text to the text editor to give your forum a description on the back end. Types: choose whether you are creating a Forum or category. Forum: can contain topics and be the parent of other forums. Category: can only contain forums (no topics). Use for organizing your forums. You may, for example, have a Category “Open Source Software” with the Forums “bbPress” and “WordPress”. Status: choose whether the forum is open or closed. Visibility: decide whether your forum is public, private or hidden. Parent: Forums can have a hierarchical structure. If your forum is a sub-forum of another Forum or is the child of a category, add the Parent here. Order: this determines the order in which the forums appear. Make changes according to your requirements and Click Save Changes. Download the WooCommerce plugin and activate it. Install the WooCommerce page as shown by the huge purple banner. Go back to WordPress -> Settings -> Permalinks. Here you’ll find some additional settings after the WooCommerce installation. We are going to change one setting: we are setting Product permalink base to Shop base. Save. Currency: Choose the currency of the store. Allowed Countries: Here you can select if you want to sell/ship to other countries or select a few- useful if only trading within your own country for instance. Customers outside your countries will not be able to checkout. For the specific countries option, define the countries you wish to sell/ship to. You must set the Allowed Countries option to Specific Countries option. Store Notice: Check the “Enable site-wide store notice text” and then edit your message below. This message will appear at the top of your site. 1. Enable a coupon field or a comments field at the checkout and enable guest checkout (no account/registration required) or force secure checkout. If you select the option to force SSL/HTTPS and SSL Certificate is required which is used to provide communication security over the Internet. Shopping carts use this protocol to protect sensitive data typically gathered during the checkout process. 2. In case you are using a direct payment gateway (such as PayPal Pro, which transfers credit card details) you must be using SSL and should be looking at PCI compliance. Here you can allow registration on the checkout page or My Account page and enable the option to register using E-mail address as the user. Prevent customers from accessing WordPress admin. Clear cart when logging out. 1. The Catalog options allow you to adjust many settings for your shop pages. You can determine the ‘Default Product Sorting’ for your products by: custom ordering + name, popularity, average rating, or ascending/descending price. 2. Define ‘Shop Page Display’ to show products, sub categories or both as well as the ‘Default Category Display’. 3. Add to cart options include the ability to enable a redirect to the cart page after a product is added or whether or not you want to display the ‘Add to Cart’ buttons on the archive product pages. 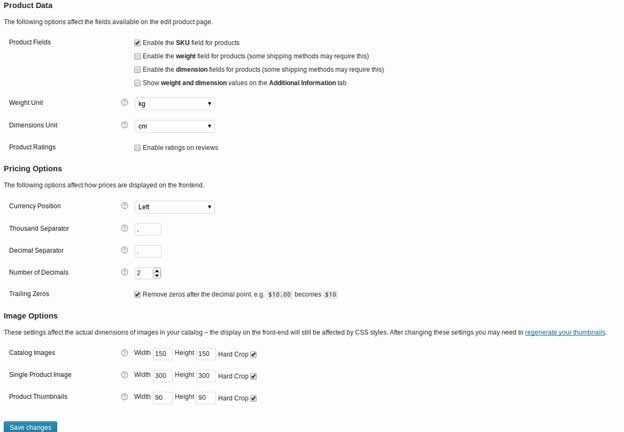 Here you can choose to enable product SKU / weight / dimension fields on the backend and whether to display that meta information on the frontend in the ‘Additional Information’ tab. You can also set the weight and dimension units of measure. Leave these settings at their default values. You can take a look at the Page settings, but we’re going to leave all the defaults in place. 1. Disable Stock Management because we’re not managing it. 2. Disable the Stock Notification Settings. The tax tab lets you define the tax rates for your store and set up how tax should work. Tax rates are applied based on the customer’s shipping address. Navigate to the Shipping tab. 1. Uncheck “Enable Shipping” because we’re not shipping anything. 2. Uncheck “Enable the shipping calculator on the cart page” for good measure. In the remaining shipping sub-tabs, all should be disabled except free shipping. Go to the Payment Gateways tab. At first, a few payment gateways will be enabled. We’re going to disable all of them. So for each gateway, click it, uncheck its corresponding ‘enable’ box, save the settings, move to the next. See screenshot for example. 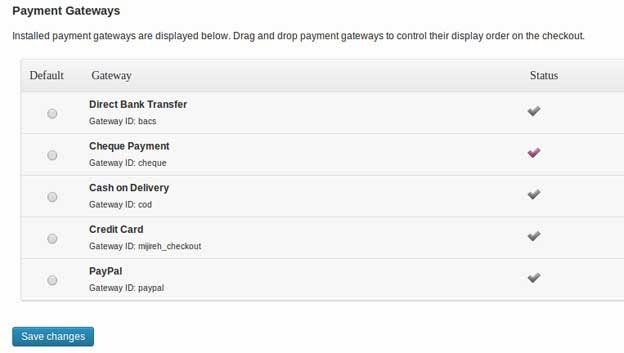 Note: Save the settings after changing each payment gateway. Go back to the main Payment Gateways tab. It should look like the screenshot. Now you will find options to customize your shop emails. Including sender ‘from’ name and email address, email template customizations and responsive customization. For our purposes, we’re going to leave all of the email options at their default (enabled), except one. The integration tab is where you configure integrations with third party services (not including payment gateways / shipping methods) such as ShareThis, Google Analytics and ShareYourCart. WooCommerce Subscriptions is an awesome plugin that allows you to sell products and services that require recurring payments. Just go to purchase the WooCommerce Subscriptions plugin from WooThemes.com and download, install and activate it. Groups gives us the ability to create a group and assign permissions (capabilities) to that group. In the WordPress admin, download, install and activate the Groups plugin by itthinx. Groups Woocommerce are a free plugin which grants membership based on product. It automatically assigns a customer to one or more groups based on the products ordered. You’ll have to purchase the Groups WooCommerce plugin from WooThemes.com. Download, install and activate the plugin. All settings should be left at their default. The Order Status drop-down indicates that we want to assign users to the appropriate group as soon as their purchase is complete. 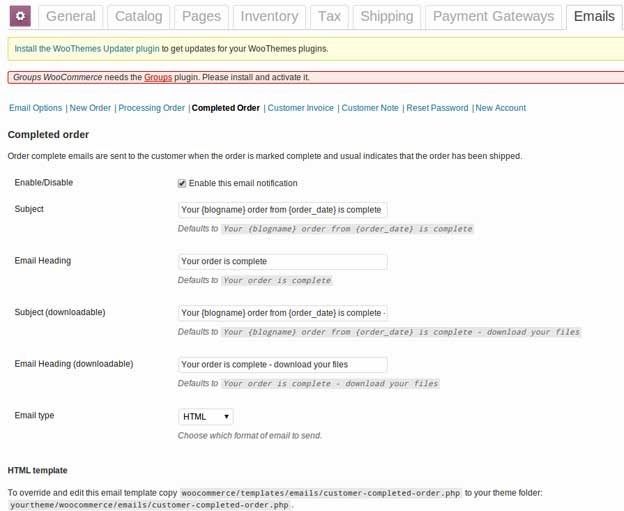 In WooCommerce, completed purchases for subscriptions can be marked as either Processing or Complete. Both of these states indicate a completed purchase. But under certain conditions, a shop owner might want to leave the status as Processing. For our purposes, we want to use Complete instead of Processing. Thus, we want this drop-down box set to Complete. The Subscription Status box indicates that we want to move users in and out of their appropriate groups depending on their subscription status. Check this box. The Durations checkbox should also be checked. Make sure that “Force registration on checkout” is checked. This forces the user to register during checkout for any product that that assigns Groups. The first step in setting up Groups is to set up the capabilities. For this tutorial, each capability will be assigned to one Group. Navigate to Groups -> Capabilities. Enter “registered” (see screenshot) in the capability field and click on add. This capability indicates that a user has registered and resides in our WordPress users database. It does not indicate that the user is a paying subscriber. Go to Groups > Groups and add click New Group. Enter Registered in the Name field and click Add. You should have one Group listed by default: “Registered”. Now create a new Group by clicking the New Group button at the top of the page. Write “Members” in the name field and set the parent to “Registered” (see screenshot). Save. Repeat the process for adding the “members” capability to the “Members” group (check the box, select the drop-down, click add). Now create a new Group named “Monthly” and set the parent to “Members”. Save. Repeat the process for adding the “monthly” capability to the “Monthly” group (check the box, select the drop-down, click add). Now, Go to Groups–> Options and remove all check boxes except Post, Page and Forum. This indicates that when editing a post/page or creating a forum, we’ll have the option to restrict the post/page/forum to certain capabilities. You can leave the other boxes checked. Under the Capabilities section, scroll through the list and select- members, monthly, and registered. These three capabilities will show as options when editing a post , page or forum allowing us to restrict access to those posts/pages/forums. Under the User Profiles section, make sure that “Show groups in user profiles” is checked. This can be helpful information when viewing the WordPress user admin page (WordPress -> Users). Under Tree View check the “Show the Groups tree view” . This will enable us to organize our Groups into parent-child relationships. 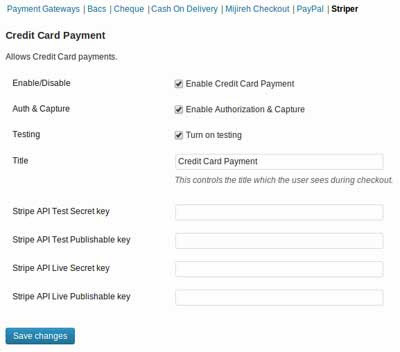 WP Stripe plugin provides a payment form and recent donor widget by utilizing Stripe.com, the awesome alternative to PayPal. Although the fees are a bit high, users find it worth the price! 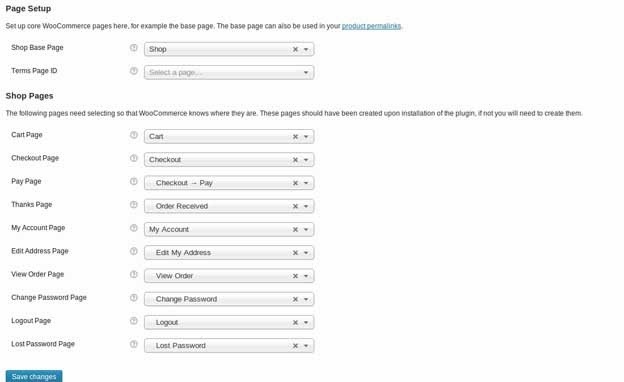 You’ll have to purchase the WooCommerce Stripe plugin from WooThemes.com. Download, install and activate the plugin. Go to Stripe to setup a free account. Note: If you run multiple businesses through Stripe, you’ll need to setup multiple Stripe accounts. This is Stripe’s recommended approach as they don’t offer a multi-account view at this time. After you’ve setup your Stripe account, confirm that you’re dealing with Stripe’s test data by looking at the little toggle switch (see screenshot). 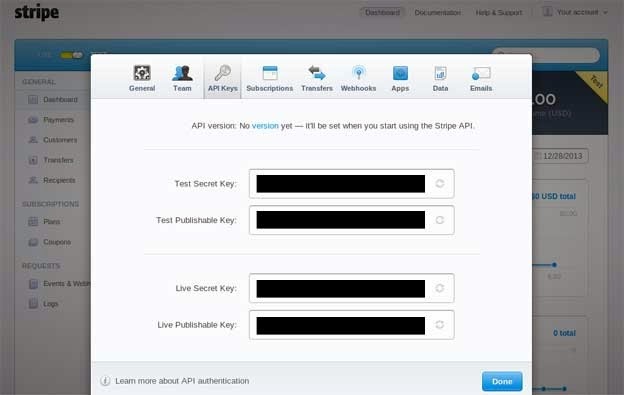 While still on the Stripe website, Go to Your Account -> Account Settings -> API Keys. 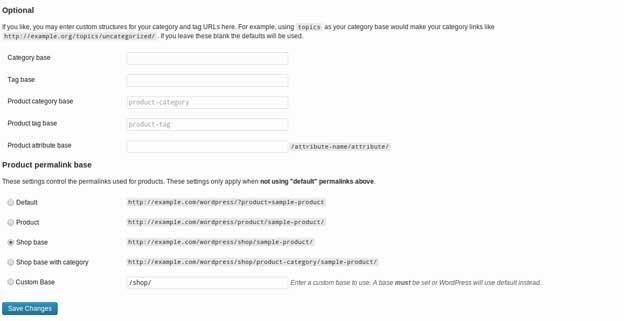 There you’ll find four API keys, which you’ll need for your WooCommerce settings. In a new browser tab, jump back over to WooCommerce -> Settings -> Payment Gateways -> Stripe and enter the four corresponding API keys into the appropriate fields. Alternatively, you can just enter the test API keys for now. Go back to WooCommerce -> Settings -> Payment Gateways, Stripe should be active gateway, indicated by the purple checkmark (screenshot). 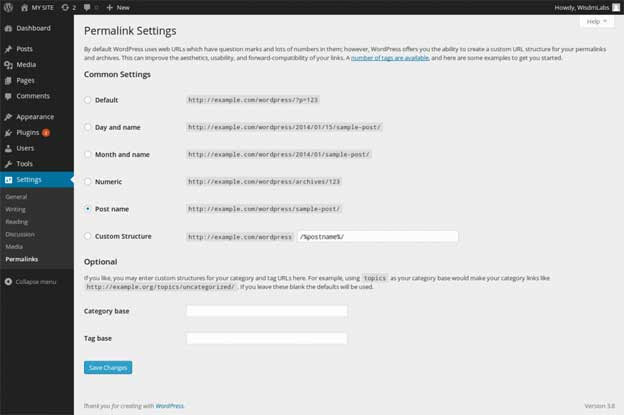 For good measure, navigate to WordPress -> Settings -> Permalinks and click Save Changes. Adding a product is a simple process and almost similar to a normal WordPress post. In the Products menu click Add Product; You should immediately see where to type the product title and full description. In the Product Name field, type “Monthly Subscription”, as we’re setting up each subscription period to be a separate product. 1. First, select Simple Subscription from the drop-down menu. then, Check the Virtual and Downloadable boxes. Why? Virtual because we’re not selling physical products. Downloadable because the way you force the order to say “Complete” is by selecting the Downloadable field. 2. The SKU(stock keep unit) is used to track products. In the SKU field, enter “monthly-subscription”. It’s not needed now but will be useful when/if you set up coupons and start looking at Google Analytics eCommerce transactions. 3. 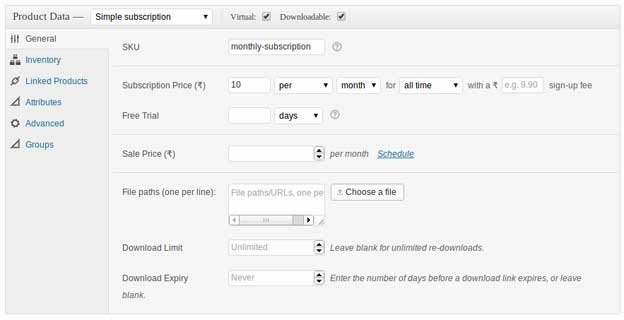 Fill out the Subscription Price fields according to the screenshot. We’re setting up a monthly subscription for $10 per month that will continue to renew until cancelled. 4. Leave the Sign-Up Fee empty for now. 5. We have kept the free trial empty because things start getting a bit complicated with a free trial. 6. Leave Sales Price empty because we’re not discounting this subscription at this time. The rest of the fields on this screen are for actual downloadable products. Leave them blank. Scroll up and click on the Save Draft button. Scroll down and click the Inventory sub-tab. Leave the setting at In Stock. Click the Advanced sub-tab (leave the others as they are: Linked Products, Attributes). here, we’ve unchecked “Enable reviews”. Click on the Groups sub tab. Under the Add column, check the Members and Monthly boxes (We established these Groups in an earlier step of this tutorial). So When a new customer signs up and pays for a membership, they’ll be added to the Registered, Members, and Monthly Groups. If the customer cancels his/her subscription, the system removes them from these Groups. We created these Groups and we assigned each Group a capability. When we actually create a new premium post (or any premium content), we can control access to that post by way of the capabilities. Scroll down and add a featured image to represent your product. We have added an example image! The Product Short Description box, will be the main description for your product and will appear next to your product’s image when a user is looking at a single product page. So include the most relevant info in this box. So you have a monthly subscription product ready for purchase finally! For easy access, let’s make the product available on the home page. Go to WordPress -> Pages -> All Pages -> Homepage. Save the page. You can change the above short code as per your requirements. We have to create content which is accessible only to the paying subscribers. For this, go to Posts-> New Post->Add New. In the Post Title, enter “Premium Content”. Enter anything you wish in the post content field. In the box labeled Access Restrictions, check “members” (see screenshot). Note: The Access Restrictions box is displayed on our Edit Post screen because we asked Groups to show it on posts and pages. The items inside the Access Restrictions box are the capabilities we created and asked Groups to include. We are not checking the “monthly”, “registered”, or “groups_read_post” boxes because we’re not using those capabilities to restrict content for now. We’re restricting content only to “members”. You now have one premium post that is available only to your paying members. Note: You can test this by visiting your site’s home page with a browser that IS NOT logged in & a browser that is logged in as your admin. You’ll see different content in the Latest Posts box. Once the install is done, Go to Dashboard>Settings>Groups 404. Select ‘Redirect to a page or post’ and change the ‘Redirect Status Code’ to ‘Moved Permanently (301)’. Save this. Note: Sometimes default permalink settings may create problem for forums. So be sure that Permalink is set to ‘Post name’. For this, go to Settings -> Permalinks. 2. Subscription Product ready for purchase. 3. Some content only visible to paid subscribers. Do you want to charge for access to your forums or do you want to charge only for certain premium posts and pages? If you wish to charge only for certain premium posts/pages, you’ve effectively done with this tutorial. You should consider establishing Register and Activate pages for bbPress so that your users can sign-up for forums without paying (see the Install and Activate the bbPress Plugin section that we covered earlier). If you want to charge access to your forum, continue with the tutorial. 1. Creating a page for listing Forum. 2. Creating a Premium Forum. 5. My profile, Login and Logout menu in Navigation Link. 6. Add WooCommerce “My Account” to bbPress Profile. To achieve the above behavior in WordPress, we’ll need to use a file named functions.php that will add features and functionality to your forum according to your needs. So we’ll have to create a functions.php file for the bbPress child theme. Create a page called ‘Forums’ and set the permalink of that page as ‘forums-page’. Note: Make sure that permalink you set for this page is different than the value set for ‘Forum Root’ parameter in Settings -> Forums. The above short code displays a list of all the forums. Set Enforce read access to ‘custom field’. Go to Appearance -> Menus. To make the forums page available in your menu bar, click on Pages and tick ‘Forums’. If the user is not registered(or who are not part of Members Group), the forums option will not appear in the pages section. This page will be available only to paying members. Hence if a visitor visits this page, then we ask him to login. In case a registered member visits this page, we ask him to subscribe for one of the available plan so that he can see content of this page. but since its an archive page(not a normal page) it is difficult to change the content of this page. Therefore, we can redirect users visiting ‘/forums’ to our ‘/forums-page’ page. //Redirect /forums to /forums-page and if visitors comes to '/forums-page', then ask them to login. return 'Hi, it seems that you do not have access to Forums Section. Please purchase one of the following products to access Forums. <br />'.do_shortcode('[recent_products per_page="1" columns="1" orderby="date" order="desc"]'); //You can change this shortcode as per number of products you have. Show Products he can subscribe for to get access of that page. Go to Forums -> New Forum. Add the Name of the Forum, it’s Description and other such details. Set value of the meta box ‘Enforce read access’ to Members. After entering all the details, click on ‘Publish’. If a paying member logs in, he’ll be redirected to the page he was trying to access. So if a person who was once a paying member and cancelled later on tries to log in, we want to always redirect him to WooCommerce My Account page, allowing him to resubscribe. Open functions.php and add the following code so that we can redirect user to appropriate page after login. When a member logs out of your forum, you probably want to redirect them to the homepage. This is because by default, the member will be redirected back to the page they were originally looking at, which will produce a 404 error. So we want to send them to the homepage instead. After adding this code, save the file. We can add a ‘My Profile’,’Login’ and ‘Logout’ link to the main navigation when the user is logged in to the forum. If the user is logged in, ‘My Profile’ and ‘Logout’ menu will appear. If the user is a paying member, we can direct them to their bbPress profile. If the user is registered but not a paying member, can direct them to the WooCommerce “My Account” page instead. bbPress creates a profile page for every user. Wouldn’t it be better to show entire information of the user in one place? Makes viewing user information easy. For this we try to show WooCommerce information of the users in their respective bbPress profiles. To do this, create a folder named ‘bbPress’ in your theme directory. Now create a file ‘user-profile.php’ in that folder. Basically we’re customizing the bbPress default template as per our requirement. bbPress plugin too has it’s own ‘user-profile.php’ file. However we are creating the ‘user-profile.php’ file using the theme. After adding the above content, save the file and go to your bbPress profile. You will find information about WooCommerce orders and subscriptions in the ‘Profile’ tab. To make any styling changes, open ‘style.css’ of your theme and make changes to it as per your requirements. There are endless customization options that you can make from here. bbPress comes with five widgets available to add to any of your WordPress themes sidebars. *(bbPress) Recent Replies – A list of the most recent replies. Title: Here you can set the title of the widget as it will be displayed in the sidebar. *(bbPress) Recent Topics – A list of recent topics, sorted by popularity or freshness. Popularity check: Number of topics back to check reply count to determine popularity. A number less than the maximum number of topics to show disables the check. *(bbPress) Topic Views List – A list of registered optional topic views. *(bbPress) Search – A simple search form for your forums. *(bbPress) Login Widget – A simple login form with optional links to sign-up and lost password pages. Register URI: Link to your custom signup page eg. A WordPress page using the [bbp-register] shortcode. Lost Password URI: Link to your lost-password page eg. A WordPress page using the [bbp-lost-pass] shortcode. *(bbPress) Statistics – A list of your forum statistics. If you have found this tutorial useful, please help us spread a word about it – simply click on the “share” button below for a variety of options. Also, if you have additional inputs please feel free to drop us a line! We will be happy to keep the tutorial updated. Lastly, We thank xd3v.com for inspiring us to create such a tutorial. Sorry: …but how is it possible to enhance the forums-capability to the topics if you’re using different caps for different forums? nice tutorial. Most of them I’ve made by myself before I reach your post, but how is it possible to enhance the forums-capability to the topics I you use different caps for different forums? If I restrict a forum to a group, the topics are published without the parents forum capabilities.. It would be nice, if you know a way for that or am I missing something? Great tutorial, I followed it step by step, bought all requested plugins, all went well untill Show WooCommerce account in the bbPress My profile page, I tried all options, my account info doesn’t appear in My profile, there is just a list of nonlinked words from Woo commerce page. As I purchased and followed the tutorial on february 2015, and the tutorial was edited in early 2014, may be with last updated of those plugins there is a small change in Code that I have to use to show WC in bbPress ? Would be happy to hear from you. Fromki. Regarding adding a custom sidebar: bbPress provides the ‘is_bbPress()’ function to check whether a template is a being used for a bbPress generated page or not. You can use this function in sidebar.php to display a different sidebar. Hi there! Thank you SO much for this great tutorial…I can’t believe that I got this together without having a nervous breakdown. AND I learned a lot, to boot! 1. If I want the profile and login/logout links to show up as submenu items under my forums button on the navigation, how could I make that happen? 2. I’d like my forums pages to have different stuff in the sidebar than the rest of the site. Maybe it’s the late hour, but I can’t wrap my brain around how to do that. When I’m not logged in, it shows the login fields, with Bob’s bbPress stats below. Ideally, it should show nothing when I’m viewing someone else’s profile. I checked out this tutorial to look for a way to integrate these two plug-ins. I think adding do_shortcode(‘[woocommerce_myaccount’]) was a really smart way of having your profile page show everything. I noticed, though, that the links that are output using this do_shortcode have the permalinks kind of messed up. WooCommerce is using /hello-world/ as its base slug. (In other words, when I click “Edit Billing Address” in this new hybrid page (which is set by bbPress at /user/me/), it directs me to /hello-world/edit-address/billing/. Did I miss something in your tutorial? What is WooCommerce directing me to /hello-world/edit-address/? 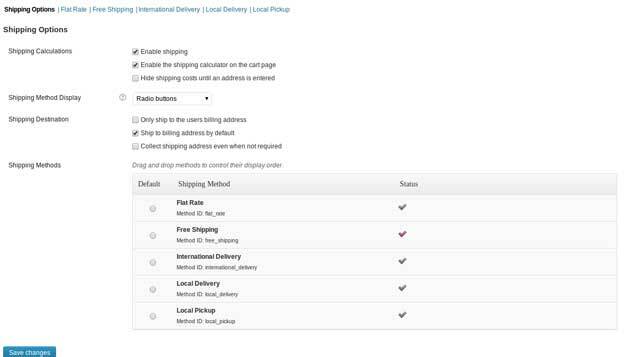 The problem seems to be because of the way WooCommerce is resolving the edit URL of the shipping and billing addresses. We investigated the issue, and found a workaround. You can try adding the following code in functions.php of your child theme.